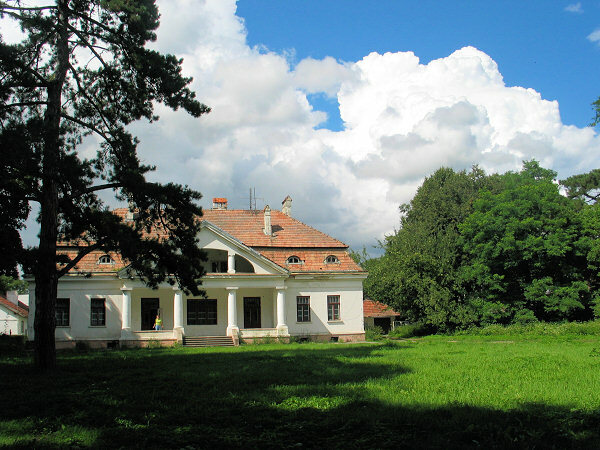 Polish manor houses are single-storey residences, smaller than castles and palaces, and were centres of agricultural management, aristocratic culture, national tradition and the battles for Polish nationality. Poland had a relatively large number of such man­ors in comparison to other European countries. 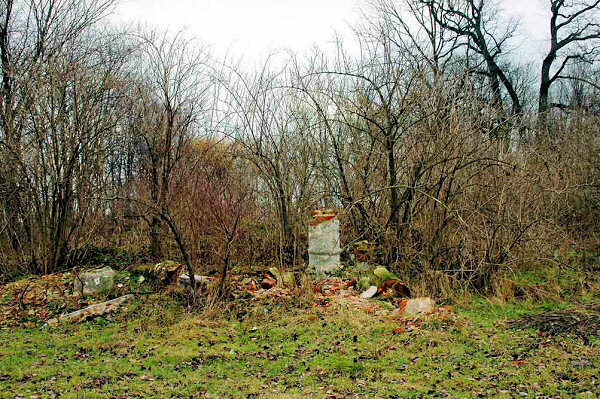 For instance, in the 18th century, the percentage of gentry in Polish society was the highest in Europe, approximately 10% of the population, compared with a European average of 3-4%. Each landowner tried to distinguish himself with a prestigious house that would reinforce his privileges, and another class of gentry called golota - aristocrats without land, but with privileges awarded by king or parliament - fol­lowed suit. During the times of the knights, manors included large enclaves with a knight's house and other resi­dential and farm buildings. These enclaves were built on hills and surrounded with a palisade or wall and moat. Some of the largest of these constructions have been preserved as castles to the present day. Smaller build­ings are called defense manors, and only a few dozen remain, the most beautiful in Szymbark, Wieruszyce and Dębno in Małopolska province, Oporów near Kutno, now museums. From the beginning of the 17th century, manors be­gan to lose their defensive function and became more residential, with one-story square constructions with corner towers giving way to one-story rectangular constructions. Walls and moats were replaced with gardens serving aesthetic and representational functions. 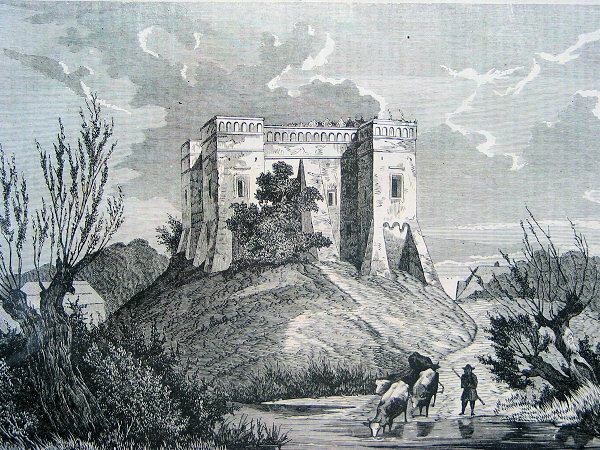 The towers remained but were used for residential purposes. In the 18th and 19th centuries, new additions (alkiers) were added to the main building. 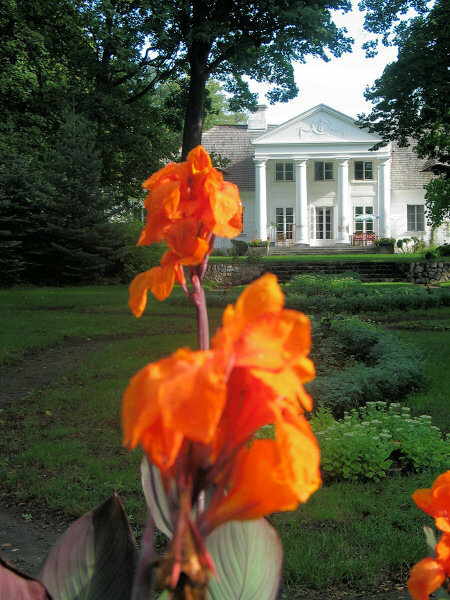 Two alkiers are a very char­acteristic feature of Polish manor architecture. Up to the last decade of the 18th century, architectural expression was baroque with neoclassicism predomi­nating later. Nowadays, the most popular manors thought of as typically Polish are those with a two or four-column portico on the front facade. 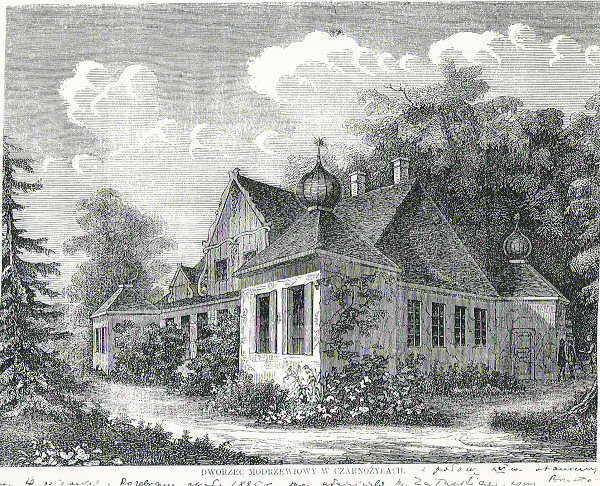 A "typical Polish manor" is a single-storey dwelling built on a hill and surrounded by a park, and possibly with a four-plane shingled roof of larch logs. It must be di­rected at '11:00 o'clock' and fronting onto the road - it cannot be situated with a side to the road. An aisle should lead to the manor and a small "gazon" should constitute an honour courtyard (cour d'honneur). This type of manour house is an image familiar to eve­ry Pole. Neoclassical manors, especially brick-built manors which are sometimes copies of somewhat larger palaces, were built up to the first world war. This style of construction was then continued in the form of "manor style" up to 1939. In September 1944, Stalin and his agents like Bolesław Bierut, first communist president of Poland, issued the PKWN decree on agricultural reform: all landowners lost their land and were forcible evicted. Technically, this only involved landowners with more than 50 hectares, but in fact it affected all landowners. About 30 manors, which were not agricultural centres stayed in private hands as urban and suburban sum­mer homes. Land was then given to state farms and small farmers and agricultural labourers. Manors were also turned into apartments for various people and partially allocated to schools, production cooperatives and state farm offices. Some manors were also destroyed as "relics of the feudal system" or were torn down by local people to make way for communal housing. What do these historical rural residences in Poland look like today? 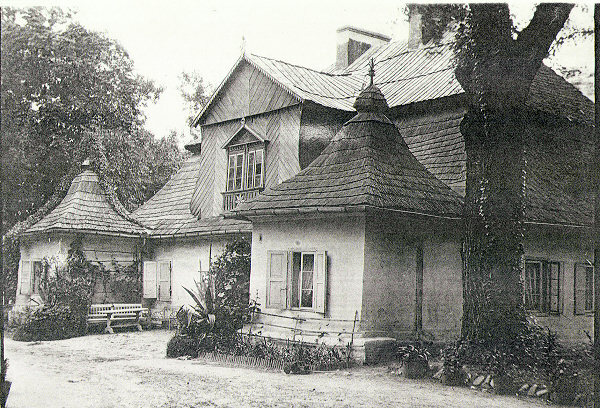 There were 16.000 manor houses in pre-war Poland. There are about 2,800 manors from before 1939, which have at least retained their original exterior features. As to their condition, about 2,000 are in a very poor state, sometimes with only exterior walls remaining. They are most often the property of the State Treasury Agricultural Agency, municipalities or local agricultural cooperatives. Many of them are empty. The other 800 manors are used as schools, rural health care centres or apartments. They are in bad but not hopeless condition, and some original elements have been saved here and there, such as stoves, fireplaces and carpentry work. Fig. 7. This once was a beautiful XVIII century manor house at Prymusowa Wola near Opoczno in central Poland. Phot. A. Dyszyński. Approximately 110 manors are in private ownership, including 30 in the hands of former owners before the Second World War. The other 80 were bought after 1990 and have been renovated as residential buildings. 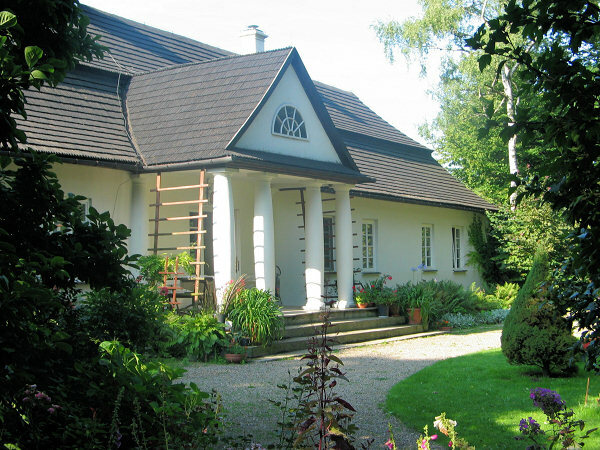 There are biographic museums in about 30, including Sienkiewicz in Oblęgorek near Kielce, Kraszewski in Romanów, Konopnicka in Zarnowiec in Podkarpackie province and Wybicki in Będomin in Pomorskie province. Some also house local museums, including those showing manor interiors, for example at Ożarów near Wieluń, Koszuty and Tubądzin in Wielkopolska province. About 50 manor hous­es are used as board­ing houses, hotels or conference centres owned by companies or private individuals. 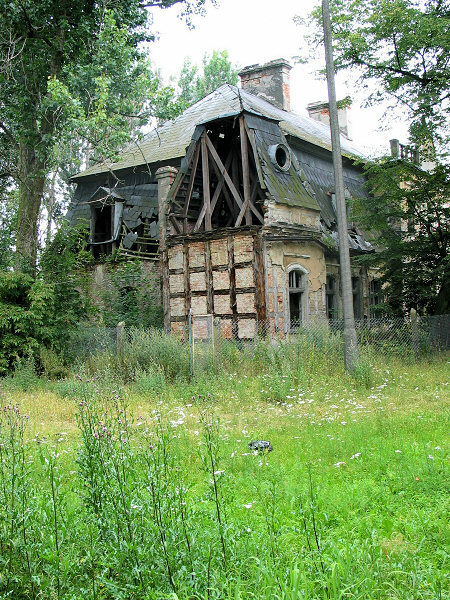 Manor houses are one of the most characteristic features of historical landscape of Poland and their owners played crucial role in the life of the nation through ages. To save them is important for identity of Poland in unifying Europe.